Begin your explorations with a tour of Shwedagon Pagoda, the most sacred Buddhist site in Myanmar. Standing nearly 330 feet tall, the venerated stupa is covered in gold leaf and topped by a finial encrusted with thousands of diamonds, rubies, sapphires and other precious gems. Continue to the Reclining Buddha at Chauk Htat Gyi Pagoda, a 213-foot-long statue with an expressive enamel face. View the story of the Buddha’s life embossed on the soles of the statue’s staggered feet. 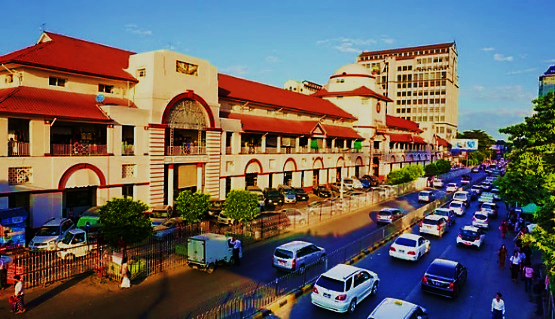 Enjoy lunch at a local restaurant followed by a stroll through Scott Market (Bogyoke Market) amid shops filled with antiques, old coins, Burmese jade and handicrafts. Return to your hotel, with time to relax. 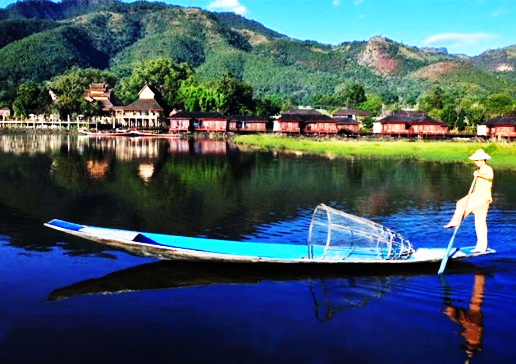 Fly to Heho, your gateway to Inle Lake and drive to the village of Nyaung Shwe, where you stop at a local Shan paper workshop. Explore the 19th-century Shwe Yan Pyay Monastery, built entirely out of teak wood. 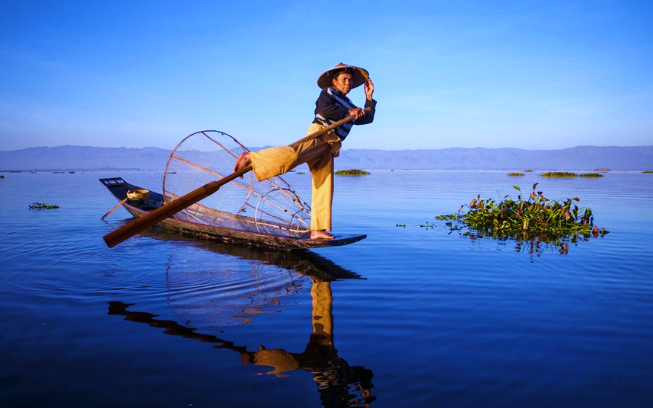 After lunch at a local restaurant on the lake, board a boat and see the floating gardens of Inle Lake. Visit Phaung Daw Oo Pagoda, a local shrine that houses five small gilded images of the Buddha, as well as Nga Phe Kyaung monastery. After breakfast, pay a visit to the Fifth-Day Market to see regional hill tribe people in traditional dress bartering for goods and produce. 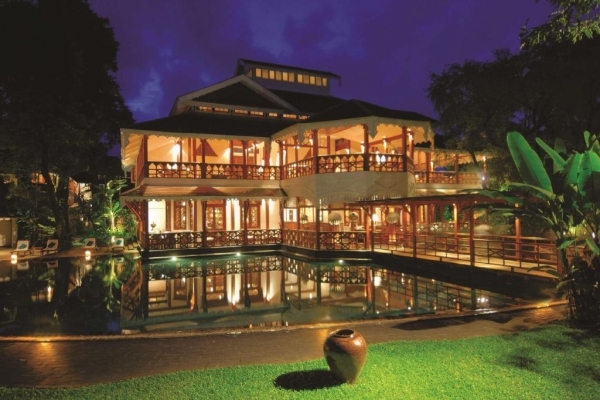 Try your hand at making a cheroot (Burmese cigar) and stop at a blacksmith’s workshop and a weaving factory, followed by lunch at the Intha Heritage House, serving authentic Intha dishes from recipes handed down through generations. 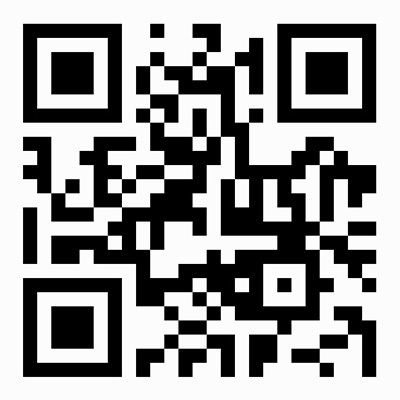 Return to your hotel. Fly to Mandalay and drive to nearby Ava. Explore the ruins by horse-cart, including Maha Aungmye Bonzan Monastery, Bagaya Monastery and the Watch Tower. Return to Mandalay, where you check in to your hotel. This evening, witness evening prayers at Shwe Kyin Monastery. View the more than 700 marble slabs inscribed with Buddhist religious texts, referred to by some as the biggest book in the world, at Kuthodaw Pagoda. 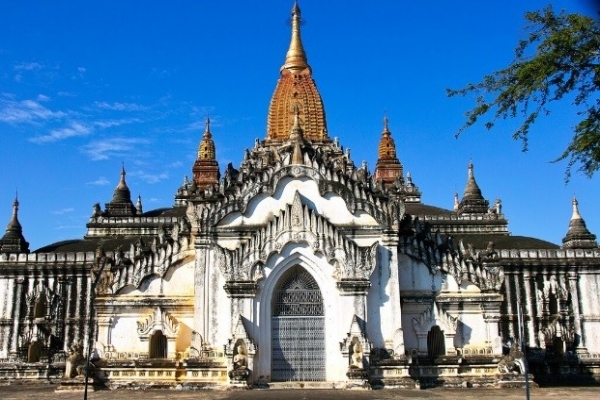 Stop at a gold leaf workshop and visit the Mahamuni Pagoda, a major Buddhist pilgrimage site. 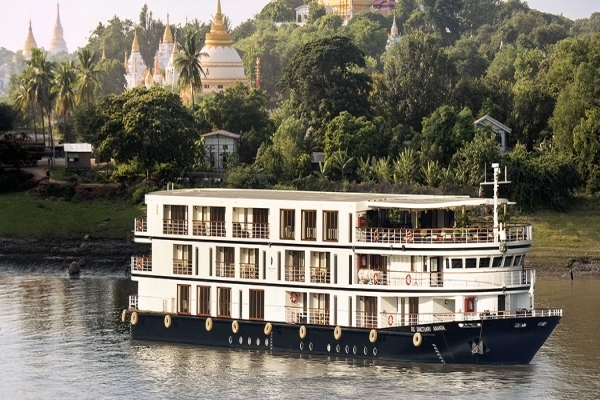 Then, board luxurious all-balcony ‘Sanctuary Ananda,’ your home for a four-night cruise upon the Irrawaddy River. After lunch, disembark to visit Sagaing, renowned for its monasteries and pagodas. 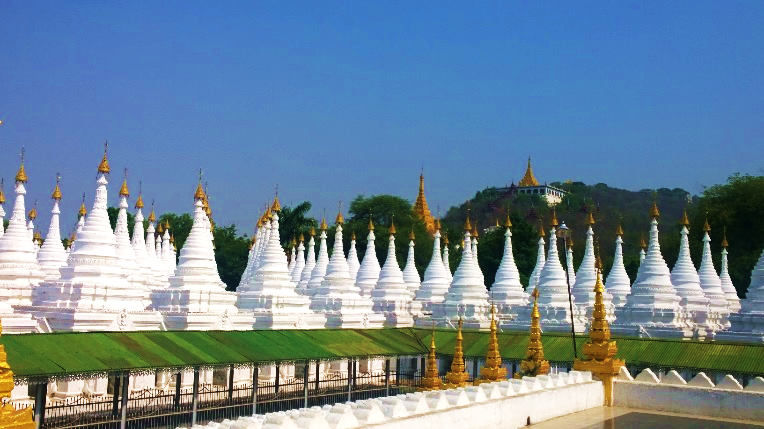 Take in views from atop the Sagaing Hills. Visit the U Bein Bridge to see the spectacular sunset. Then, return to the ship for dinner. Early this morning, sail north to the quaint village of Sin Kyun to witness firsthand the way of life in this location seldom visited by outsiders. Afterwards, relax on deck observing local village life, or receive a spa treatment. Later, attend a longyi (traditional Burmese cloth) demonstration, followed by a talk on Myanmar’s past, present and future. After breakfast, take a cooking class with the ship’s Executive Chef. 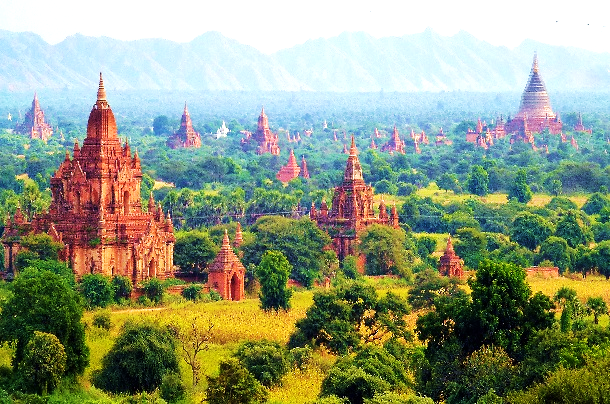 After lunch on board, head to the top of Tan Chi Taung Mountain to enjoy your first glimpse of the Bagan plain, containing more than 2,000 pagodas and stupas. Tonight, a candlelit sandbank dinner is served with the backdrop of the twinkling lights of Bagan. Rise early for a hot air balloon ride (seasonally and weather permitting) over Bagan, as dawn illuminates the gold- and sand-colored stupas. 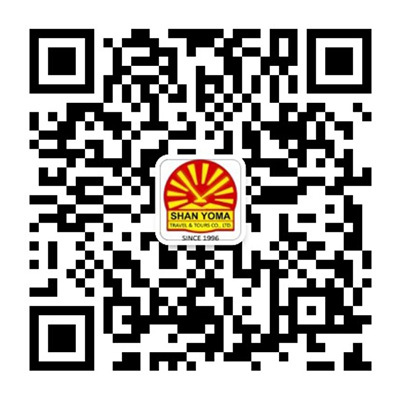 Next, explore Nyaung Oo Market, Shwezigon Pagoda, Ananda Temple, and Sulamani Pagoda. Then, proceed to a pagoda complex in Bagan to watch the sunset before returning to the ship for dinner. Disembark and fly to Yangon. Meet a traditional Burmese astrologer, who specializes in advising individuals on important life decisions — such as when to marry or buy property — in order to correctly choose days for these events that will bring good fortune. Your afternoon is at leisure, perhaps for some last-minute shopping.